O Rex Israel! Hosanna in excelsis! The Cross on which the Word-Made-Flesh, Once suffered human agony. From nails which bound his feet and hands His tortured body hung in pain. Thus was the victim sacrificed Who for the sins of all was slain. His blood with water issued forth To purge our souls and wash us clean. Which blessed your trunk and colored it The purple hue of royal blood. 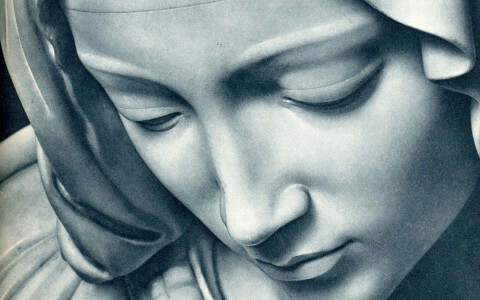 May Christ impart to us the grace Which by his passion he procurred. Who through the myst’ry of the Cross From death to life have been restored. Amen. I have come to cast fire on the earth, and how I wish it were blazing already! There is a baptism I must still receive, and how great is my distress until it is over! He committed no sin; no guile was found upon his lips. Glory to the Holy One and the Word and the Breath of Love. As always before so now and evermore. Amen. 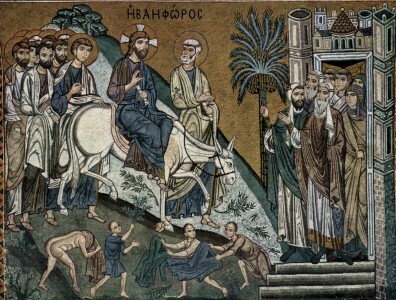 Though he was the image of God, Jesus did not consider equality with God something to be grasped at–instead he emptied himself and took the form of a servant, and was born as an ordinary human being. But even more, as a human being, he was humble and obedient to death, even to death on a cross. R. Christ Christ has entered the sanctuary once and for all, *and has won for us an eternal redemption. V. He entered, notwith the blood of goats and calves, but with his own blood; *and has won for us an eternal redemption. V. Glory to the Abba and the Word and the Holy Breath of Love. for the joy that awaited him, endured the cross with all its shame. 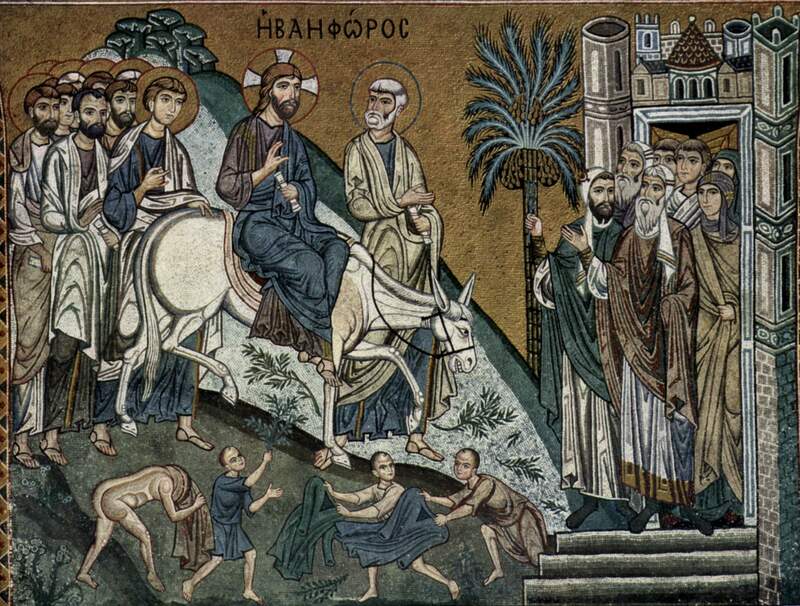 You entered Jerusalem on a beast of burden, greeted only by the powerless and the poor; help us to recognize the unconquerable power of genuine humility and love; ~Hosanna in the highest. Like the prophets of old, you were given a well-trained tongue to speak to the weary a word to rouse them; rouse us from our weariness and teach us to use our words and our lives to bring good news to the poor. ~Hosanna in the highest. Compassion moved you to live and love in solidarity with all those who suffer from injustice, oppression, and evil; move us to those people and places where God’s compassion is most needed in our world today. ~Hosanna in the highest. Like so many who cannot clothe themselves in the privileges of wealth, gender, race or power, you were condemned to death, stripped, and executed; awaken in us a deep sense of equality and solidarity with all humanity and all Earthkind so that we can join you building your reign on Earth as it is in heaven . ~Hosanna in the highest. In naked vulnerability you stretched out your arms in all-inclusive love and breathed forth your indomitable Spirit into a world gasping for life; fill us with that same Spirit so that we can continue your mission and ministry–loving this world into freedom and the fullness of life; ~Hosanna in the highest. May the God of Compassion + bless and guide us as we follow Jesus on the way of the cross. ~Amen. Let us pray, O Gracious God grant to your people lasting health of mind and body. We ask this through Christ our Life. Amen.